I'll be attending this year's American Association of School Librarians conference in Hartford, Connecticut, which takes place this weekend, November 14-17. You can catch me Friday evening at 9 p.m. at the Author & Librarian Tweet Up, an informal get-together at the Marriott Hotel Crush Bar/Starbucks. On Saturday at 10:15 a.m., I'll be a panelist for Head in the Clouds, Feet on the Ground: The Role of Fantasy in the Real World with other fabulous middle grade and YA authors. After the panel, I'll be signing books at AASL's Authors Alley from 11:30 a.m. until 12:15 p.m. If you're around, stop by and say hello! This Saturday October 19 I'll be attending the New Media Day conference at the Eric Carle Museum of Picture Book Art, hosted by New England SCBWI. If you happen to be around, come say hello. This weekend I listened to a fascinating piece on NPR about women in cinema. Essentially, although women are half the movie-goers in the U.S., they have only 17% of the onscreen roles—including crowd scenes. Off screen isn’t much better: women represent 7 percent of directors, 13 percent of writers, and 20 percent of producers. Geena Davis, known for her role as Thelma in “Thelma and Louise” and founder of the Geena Davis Institute on Gender in Media, commissioned a dozen studies on women in media from the Annenberg School at University of Southern California. Perhaps the most disturbing result to me was from a study where they looked at the ratio of men and women in groups. [T]hey found that if there's 17 percent women, the men in the group think it's 50-50. And if there's 33 percent women, the men perceive that as there being more women in the room than men. What we're in effect doing is training children to see that women and girls are less important than men and boys. We're training them to perceive that women take up only 17 percent of the space in the world. And if you add on top of that that so many female characters are sexualized, even in things that are aimed at little kids, that's having an enormous impact as well. The piece explores some of the economic reasons that this may be happening, particularly the sea change studios have seen in profits from abroad where there is a preference for movies with lots of explosions and little dialogue. As a result it has been harder and harder to fund movies with women in lead roles. Which begs the question, why should women be underrepresented in non-speaking roles? And why would the foreign movie market matter in children’s television programming? The entire report is interesting and can be heard here. For those who prefer to read a transcript, it can be found here. 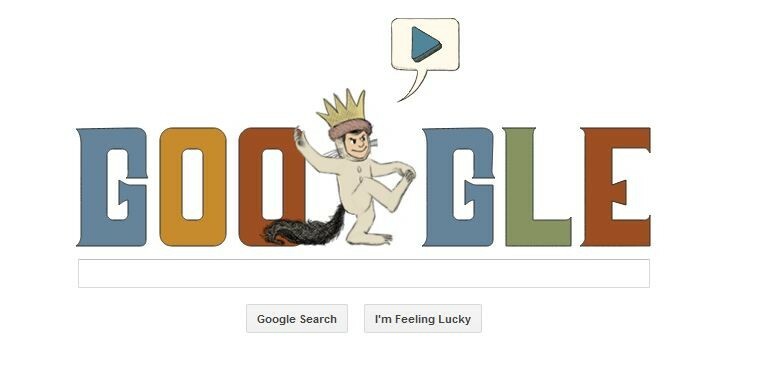 For Maurice Sendak fans, check out Google's front page today. It's a wonderful tribute for the 85th anniversary of his birth. ETA: Here's the permalink for the Google Doodle. This piece by Tobias Buckell talks about how a whole lot of advice given to aspiring authors is not really useful. The quote worth remembering (which Buckell gets from a Smashwords guide): “most books, both traditionally published and self-published, don’t sell well." That's not to say you should give up, to the contrary. But in most cases, the advice you get from successful authors does not work to solve this problem, whatever form of publishing you chose. Buckell's piece does a good job explaining why. The takeaway for me was that there's really no substitute for hard work, though that's no guarantee of success, not by a long shot. Most books just don't sell well. There's too much other stuff around competing for attention. On April 27 I'll be at the Albany Children's Book Festival from 10 a.m. to 4 p.m., at the Albany Academies, 140 Academy Road, Albany, New York. Then on May 4 I'll be at the Hudson Children's Book Festival, also from 10 a.m. to 4 p.m., at the Hudson Junior and Senior High School, 215 Harry Howard Avenue, Hudson, New York. It's with great sadness that I learned that E.L. Konigsburg has died. She was one of my heroes. I wrote about her on Write Up Our Alley a few months ago. What I said then still holds true today: E. L. Konigsburg’s work has always been an inspiration to me. She was not afraid to take risks. She wrote for all age groups; focused on multiple genres; and was a true craftsman, willing to bend forms and try something new. Even if one of her stories did not grab me entirely, I still knew that what I was reading was well written and worth my time. Her brilliance and work inspired me to become a novelist. So the novel is long, full of intrigue, action, and lots of characters, almost none female. The few that are female arrive late and play stereotypical roles. And then, I'm almost three quarters of the way through when the young, likeable protagonist has a conversation with an older, likeable mentor. They are talking about the protagonist's love interest. "Women hate [her]," he said plainly, as if repeating something we both already knew. "Hate her?" The thought baffled me. "Why?" [. . .] "Think of it. She's pretty and charming. Men crowd round her like a stag in rut." He made a flippant gesture. "Women are bound to resent it." Because you know, beautiful, sexually attractive women can't possibly be friends with other women. Wouldn't do. Let's just say, I gave up soon after. The first draft of the novel that I've been working on for, gosh, ages (and for which I put 60,000 words down during for NaNoWriMo back in November) is complete! [Confetti!!] It weighs in at over 160,000 words... I predict major cutting ahead. GIL MARSH is now available in a paperback edition! The meme consists of a series of questions about works-in-progress and not yet published titles. Many national and international writers have participated in this. It gives readers a glimpse into the working life of a writer. MY NEXT BIG THING is the publication of the paperback edition of GIL MARSH later this month. But in keeping with the meme, let me tell you about the novel that I'm currently working on. 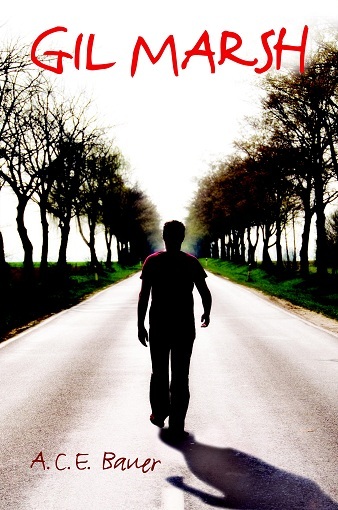 IN THE MATTER OF THE SHORT-LIVED LUKE E.
In my last book, GIL MARSH, my main character met someone he thought was an immortal man. I thought it’d be fun to explore this man’s history. It’s a cross between realistic fiction, historical fiction and fantasy. The cast would be enormous. I weave three stories: one of a freshman in college whose friend gets kidnapped; another of a man who has survived one adventure after another since the mid-17th century; and the third of a woman who was born to an extremely long-lived family in the mid-18th century. The characters roam the world: from New England, to New York, Quebec, Nova Scotia, France, Barbados, England, Scotland, Calabar, and Colombia, and places in between. A series of crimes have occurred on a college campus, and it’s up to a 370-year old man to figure out what happened. This is a tough one, since the story crosses so many genres. There’s the police-procedural feel of MONSTER, but in this case it’s everyone but the accused who speaks. There’s a taste of historical fiction like FEVER 1792, but I cover more than one year of history. There’s a dollop of epistolary romance like in SORCERY AND CECELIA, OR, THE ENCHANTED CHOCOLATE POT. There’s the fallout of being the silent victim of a crime as in SPEAK. There are several episodes of high adventure as in THE TRUE CONFESSIONS OF CHARLOTTE DOYLE. There’s the feel that history can affect the present, as in THE RING OF SOLOMON. I was intrigued by the idea of what it would mean to be someone who can live close to a thousand years, yet be surrounded by people who have normal life-spans. I interweave the story of several generations of a regular family as they interact with the (now) 370-year old man. Each of these interactions affects not only the man, but the family, too, and relates to why a present-day college student was kidnapped. Thank you Leslie for having tapped me! This was fun. * In December, I finished the novel that I had been working on for NaNoWriMo, only to realize that I have to entirely restructure the beginning. I have since been working double-time to complete a serviceable first draft. At some point I'll share some of the fascinating research I have been doing to help it along. * In January, I presented at the first Shoreline Arts Alliance Winter Workshops for Writers & Illustrators in Chester Connecticut, and discussed the art of revising novels. The workshops were well attended, and as a bonus, the proceeds went to benefit the Tassy Walden Awards: Fresh Voices in Children's Literature. * Gil Marsh was nominated for the 2013 Teen Choice Book Awards. You can still vote on your choices here: http://www.teenreads.com/2013-teen-choice-book-of-the-year-nominees. Voting is open until February 13. Matt Harding and Melissa Nixon have done it again. You've probably seen it. It's worth seeing again.